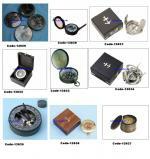 We are a well renowned name in manufacturing and exporting Compasses. 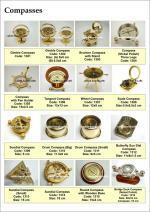 Our Antique Compass have occupied a standard market place and are well accepted by a large group of people.We have wide a range of compasses like as sundial, gimble, Brunton, tangent,scale, drum, butterfly, four needle, Bridge deck, zodiac, helmets, boat, paper weight, Gandhi & many more. 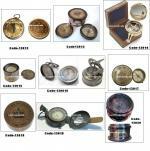 Now a day we offering more design logo on compass top on flap like as boy scout ,beatle, & boot polish etc. 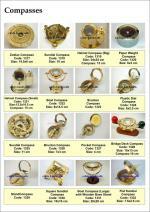 We welcome you to avail the opportunity of reasonable prices from us and conduct a blissful shopping. 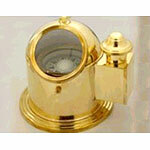 3 inch solid brass Titanic Flat compass is perfect gift forever. 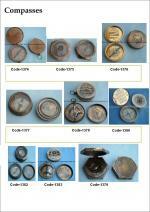 its compass print the titanic ship history with titanic ship picture inside or our side. 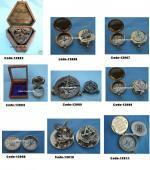 3 inch solid brass nautical sundial compass with antique finish its new design compass with print on lid .